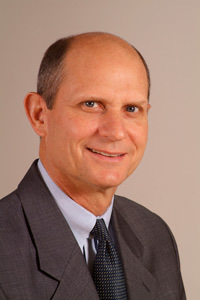 Elder Ted N.C. Wilson has just been nominated and elected president of the General Conference of Seventh-day Adventists (the morning of June 25, 2010). From a source inside the nominating committee, we have been told that the vote was overwhelming â€“ on the very first ballot. Our prayers are with you Elder Wilson as you take on a difficult and very important responsibility in these closing days of Earth’s history. June 25, 2010 in LSU. Hopefully, Wilson will take the reins and start doing something about the takeover of our institutions by secular humanists. Will he? Most of the speakers believe in the Big Bang Theory, radioactive dating and Billions of years of Earth history! Ah, but they don’t believe that life has existed on Earth for millions or billions of years. They believe that life was created in six literal days within recent history. That is right in line with the SDA Church’s fundamental position on origins. God needs to take the reins in His own hands. I pray that our Heavenly Father will work through Elder Wilson to guide this church. The looks of Elder Wilson are promising. He and his associates need our prayers. They have an advertisement for LSU in the new world Review. Not much happening to curtail LSU’s influence in the world church apparently. They have an advertisement for LSU in the new world Review. Not much happening to curtail LSUâ€™s influence in the world church apparently. AT and Spectrum followers are hot under the collar about Wilson’s election. Both sites are full of angry, hostile responses to this and Educate Truth. Why are they angry? (Sorry for my ignorance; I’m not familiar with AT and Spectrum). I’m struggling with my feelings that the GC is just a non-effective body of people—-reminiscent of the government. After reading Jan Paulson’s letter (in response to David Asscherick’s open letter) my spirits are in the dirt. In keeping this “civil” I’ll just say my offerings will go to my local church as always, but I can’t in good conscience support the GC until I see somebody with the strength of Daniel make a stand…..like David Asscherick. How is it that La Sierra has been allowed to teach evolution for THREE years and I wake up one morning to find it in the newspaper?! Mean while the GC has let devoted parents innocently pay big money for an “Adventist” education knowing full well what was going on! Shame………………………. It is quite likely, Bobbi, that LSU is not controled by the SDA church. It is more likely a public institution that still patronizes some SDA ideas and for the purpose of retaining some SDA influence as well as lureing SDA’s to send their children. If so, the conference has no jurisdiction to demand anything of LSU and can only intreat them to reverse course. And again, they no doubt receive considerable financial support from the government which requires the evolution scenario. If so, you can see that LSU is also between a rock and a hard place concerning what is most advantageous financially in this conflict. So, they hope to play off both end against the middle and continue a statis quo agenda and reap the highest financial agenda possible. Thus, all the political manuevering and obscurity hopeing time will be on their side and people will eventually drop the controversy and they can continue with “business as usual”. “The Spirit of Prophecy is one of the great gifts God has given to the Seventh-day Adventist Church,” Wilson said. “It applies to the past and to the future. And, we are going home soon.”-That is a good sign, reference of the SOP without reprisal is hard to come by when men and women are trying to uphold “images” in leadership positions. I pray for the continued guidance of the Holy Spirit for the SDA church upon the straight and narrow(Matt 7:14) until the Second Advent of our Lord and Saviour Jesus Christ. It is quite likely, Bobbi, that LSU is not controled by the SDA church. It is more likely a public institution that still patronizes some SDA ideas and for the purpose of retaining some SDA influence as well as lureing SDAâ€™s to send their children. But the bulk of Adventists don’t know this. All I knew is that LSU was an SDA university with a history of being a missionary college. Don’t you feel the church should make it abundantly clear they aren’t connected with Adventism…..if that’s so? Michigan only recently withdrew their conference support of the school because of the teachings causing quite a stir. To me that indicates LSU is still being supported by other church conferences. If LSU is no longer connected, and therefore not controlled by the conference, why is my local conference still supporting them? Had Michigan not withdrawn their support I would never have known about all this. Just how long would the GC have turned a blind eye? Thank the Lord for people like David Asscherick! Now there’s a man of God….a true Daniel. This is an enormous issue in my large church. During prayer request in Sabbath School I asked to pray for our children that we have carefully and fearfully trained and sent off in good faith that the schools would continue that training, and it opened a can of worms that took over the entire class study. Out of 15 people in the class all had children, some about to enter college and every person present was sober, angry, and felt betrayed. On the up side it was the longest and most heart-felt prayer session we’ve ever had. Some even thought it would be better to send their children to public colleges close to home. At least there it’s easy to toss evolution theories because it’s not a Christian school. All Satan needs is a “seed”, just a “seed” of doubt to get the young minds turned in the wrong direction. What better avenue than an Adventist professor in a missionary college. Many people are waiting and watching. Knott: Say a word to those in the church who wonder if leadership can make a difference right now. What do you think might change in the coming years through your ministry and that of others? You are correct sir, the hate over on Spectrum is in abundance these days. The Holy Spirit usually works through and with people who follow him. I hope Wilson is truly one of those people. Why was the son of a previous GC President chosen? Did he nominate himself? This does not look good considering the history of his forbears. He will need to be an exceptional person to retrieve the church from its present sad position. I have been sda for a loooong time. I want my church to reflect the attitudes of the Master There have been times when I weep on disbelief at the happenings in my church. God Bless you all. Donovan P.
Bobbie, You’re going to hear a lot of “concerns” regarding Pastor Wilson. He is a bible-believing SDA, as far as I know, and is and will be hated by the liberal, secular humanists within our Church. Just look at AT and Spectrum. Mainly negative, fear-mongering tactics by both the editorial staff and posters. Don’t let that discourage you. God is and will be leading his Church, and we are seeing evidence of this. However, we all have a part to play, which is why we have this website. God works through people, usually, and not necessarily by Himself. This, also, is horrifying to liberals, as they do not have the “numbers” to counter those that believe in God’d Word. Thus, the liberals say we ought to “lay off” and “shut up.” Well, I will not. How about others?! Anyone know anything about new NAD President Dan Jackson? Just wondering! Elder Wilson is a servant of the Lord. I have had the privilege of sitting and conversing on a broad range of topics and it is clear that he is well read and truly loves the Lord and His bride. To be given the responsibility of standing at the helm of the Seventh-day Adventist church at “such a time as this” is a daunting task that I would never covet. Elder Wilson needs to be the subject of our prayers for an intimate walk with Jesus and a rich infilling of the Holy Spirit. Our family does have the privilege to know Ted’s family to some degree and they do seek the Lord. Ron Stone I believe is right. Ted will not be esteemed highly amongst those that do not treasure the Bible, the Spirit of Prophecy and seek to do the will of God. I wanted to note that the Sabbath before Elder Wilson and his wife, Nancy went to Atlanta for the General Conference they were in my home church. Ted spoke and it was a Bible based and harmonious beautiful picture of Justification and Sanctification as presented in Steps to Christ. In observing him there was no inkling of pride or haughtiness. He was going to Atlanta to serve the church in whatever capacity he was asked to. I appreciate the opportunity to share these thoughts here. As a life long Adventist I’m upset by the tone of the remarks on this site. They seem more appropriate to a political website than an SDA spiritual one. Should we not care more about a person’s connection to Christ than whether or not they line up with one of our cherished positions? The hate toward the so called left or right is still just hate. As far as the Michigan Conference and David Asscherick go, there are many things that have occurred in churches in this area ( I am a member in Michigan) that have not moved the work of the Lord and the church forward. I’ve heard sermons by David Asscherick that worked against unity within the church and that were more self serving than Christ centered. Ellen White was very clear that her teachings should never go above the Bible and yet,it seems by some of the remarks on this site that those posting would like a GC President that would do exactly what she warned against. I’m saddened that one conference would remove it’s support of an SDA school rather than work within the structure of God’s church to bring about positive change. We should all be sobered by this breaking apart of the church rather than gloating and hoping that our own positions will be validated by a new President. I pray that he will not cater to any group on the left or right, but rather do God’s will. Danella Sherwood: I’m rather new to this site and have not been an Adventist all my life but have to say I have heard no hate whatsoever on this site. I’ve had concerns and actually found some answers here. I believe everybody here for the most part wants the same thing: A Christ-centered leader who has a good balance of justification and sanctification. While we are to be united, we are never to unite on error or wrong doing. If you read some of the letters written to “one of our institutions” you will see a most Godly approach to handling the situation but the response has been evasive and willful with no change. And if you want to really understand a hateful tone read the LSU web forum. God never tolerated insurrection and has ordered leaders throughout the ages to go through the camp and get rid of the idols (so to speak) or He wouldn’t work with them. Discipline is always hard and those in a position to deliver it are always falsely accused—-Jesus Himself was but that isn’t to stop them. He was crucified by an angry mob for showing them love but for pointing out their sinful ways and not accepting false teachings. The situation at LSU is too dire and appalling for anybody to gloat (and I certainly haven’t heard any of that here) but the activities and teachings of that school have been a horrible representation of Adventism and at war with Christ and our fundamental beliefs. The problem isn’t going away. As far as David Asscherick goes, I’ve listened to his sermons also when I would visit my daughter in Michigan. She lived with him and his family for a while and can attest to their love and devotion to God and the truth. His personality is quick and spirited, full of energy, and God is using him in a powerful way, as I hope is the case with Ted Wilson and all of our leaders. I’m sure if Elijah marched down the aisles of LSU and pronounced 3 years of starvation and drought because of their wicked ways; or if Moses brought the tables of stone down with a crashing blow at their feet they would be critisized by some church members today, just as they were blamed and critisized in their day. I’m sure they would be accused of being hateful and point to an “Aaron” as an example of a true Christian. While it’s impossible to miss the point with David and while he has certainly addressed my own weaknesses from time to time, I’ve never felt offended but rather thankful to God for sending somebody to open my eyes. Of course some people walk away (during the shaking the whole church will appear to be going down—we need to accept that) but we need to be careful not to critisize somebody brave enough to speak the truth. In the Bible that’s never been a happy ending. “There goes the neighborhood!” Just got word Jerry Page has been elected Ministerial Secretary of the GC. The only leader in the Pacific Union Conference who has the backbone  is leaving. WHY OHH WHY are you people remarking on Elder Wilson being the son of a former president !!! He was a Godly man as well ..I have heard Elder Wilson Preach before and he is about the LORDS WORK His Message is just for a time as this ..The Greatest want of the world is the want of men-men who will not be bought or sold,men who in there inmost souls are true & honest,men who do not fear to call sin by its right name men who’s conscience is as true to duty as the neddle to the pole ,men who will stand for the right though the heavens fall…… EGW-ED.57… I BELIEVE Ted Wilson is this Man !! !I praise God ….. I agree with you and posted the same question a while back. I think the vast majority of the people on this page believe and want the same thing. There just seems to be some worry (in my opinion) how this “looks” to the liberal side of the church, who are VERY vocal about untrustworthy shenanigans going on “behind the scenes”. I completely disregard their skepticism and bend for planting seeds of doubt. I’m thrilled with the new leadership and look forward to how God is going to lead us through the events of the future with this wonderful and godly man as His human instrument. @Sean Pitman: It is inconsistent for the Michiagin Conference to blacklist LSU, while many other SDA Collega & Universities continue to teach theistic evolution. Either they should all be blacklisted, or all whitelisted, but certainly something should be done from the GC level down to thoroughly investigate the teachings of each SDA school to make sure they are upholding truth. While Ted Wilson is not in a position to bring about chnage, there is no doubt that the Holy Spirit will empower him to address some concerns in the Seventh day Adventists church. There is no doubt that God led the elections. Our church needs spiritual direction. The Seventh day Adventists church is a conservative church. Over the years sin has introduced new versions of the church like liberals etc. I thank God for the SDA church. I am confident that Ted Wilson will certainly allow the lord to lead and to deliver his church. The president is in a position to effect great change. While he may not be in a position to directly influence La Sierra, he certainly can take other routes that would be very influential. I wish that.Elder Ted Wilson is nolonger deviating church direction right to the left,what church praech as fondamental is changed,like sda is observing christmas trees and other decoration inchurches,what is your what is your enswer.Sda churches could better observed easter, sad and joyceful resirection of ourLord JessusChrist.May God bless his people.